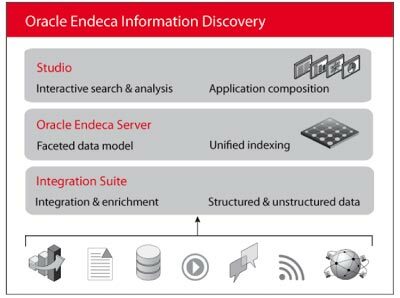 Oracle Endeca Information Discovery (OEID) addresses the information search problem. It can draw upon email, social media, content management systems, transactional data, documents, and external websites – virtually all information sources. Prior to Oracle’s acquisition of Endeca, we rated it most highly of all the enterprise search technologies we looked at in 2009 (the report is still available on our web site). It is exceptional technology, and we commented at the time that this was a good acquisition for Oracle – and so it seems. OEID indexes all the data it is pointed at regardless of structure. This means diverse information sources can be tied together by using these indexes – the name of a customer might be found in transactional data, in memos, emails, social data and so on. OEID facilitates a unified picture. At the heart of OEID is the Oracle Endeca Server. This is a hybrid search/analytical database, and was the distinguishing factor in our 2009 analysis, enabling very high levels of performance. The lengthy waits that can be a feature of enterprise search are much less likely. Data is stored in column format, and extensive caching means these highly compressed indexes can be scanned with great speed. The user interface is provided by Studio. This is a drag and drop interactive environment that enables high productivity and supports complex queries. 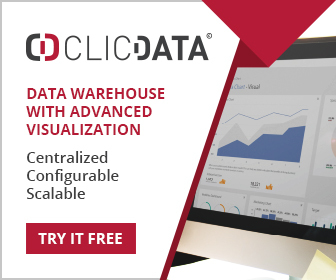 The Integration Suite provides the connectors to a bewilderingly large number of data sources – both structured and unstructured. The performance of OEID is further enhanced by multicore parallel query, extensive caching, per-attribute column storage, and multiple compression techniques. This quite unique technology positions itself in the top three search technologies in our opinion, and the innovations it incorporates make it an ideal solution for many enterprise search needs. Further details on the OEID platform can be found in this technical overview.